Lighthouse park engagement pictures West Vancouver - Best Vancouver wedding photographer Jozef Povazan Photography studio. 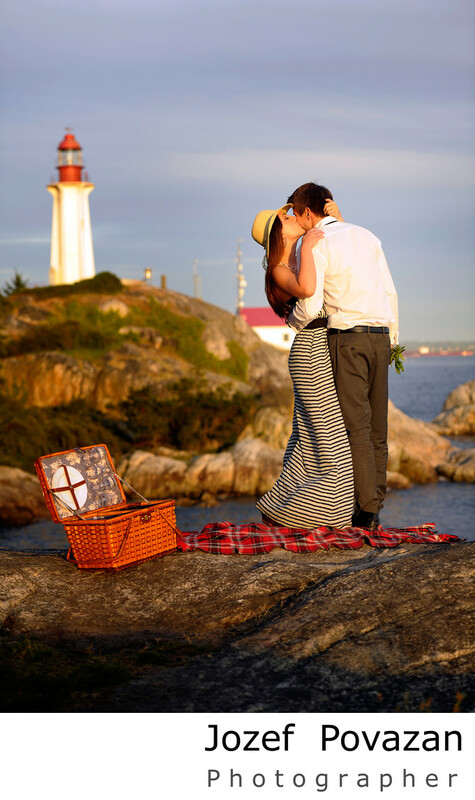 Lighthouse park engagement photography West Vancouver created by Jozef Povazan. Sunset evening spent at picnic with this amazing bride and groom couple with a bottle of bubbles and watching horizon slowly turn orange is amazing experience.